Trying to decide whether you should use Elasticsearch on a basic cloud instance or to use the AWS Elasticsearch Service instead? Here's where we dive in. Many of our clients use AWS EC2. 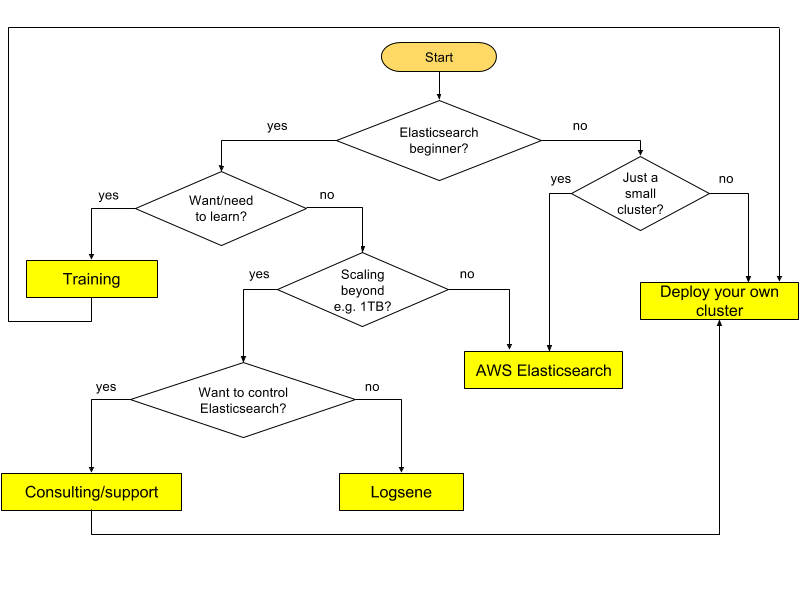 In the context of Elasticsearch consulting or support, one question we often get is: should we use AWS Elasticsearch Service instead of deploying Elasticsearch ourselves? The question is valid whether “self-hosted” means in EC2, some other cloud or your own datacenter. As always, the answer is “it depends,” but in this post, we’ll show how the advantages of AWS Elasticsearch compared to those of deploying your own Elasticsearch cluster. This way, you’ll be able to decide what fits your use-case and knowledge. Why to Install Your Own Elasticsearch? You can change more index settings beyond analysis and number of shards/replicas. For example, delayed allocation, which is useful when you have a lot of data per node. You can also change the settings of all indices at once by hitting the /_settings endpoint. By properly utilizing various settings Elasticsearch makes available you can better optimize your setup for your particular use case, make better use of underlying resources, and thus drive the cost down further. You can have clusters of more than 20 nodes. 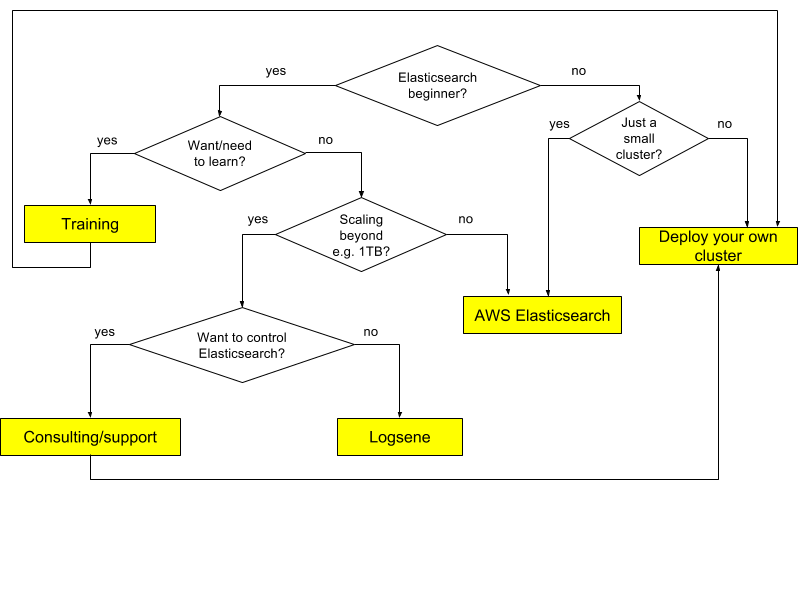 You may see a pattern emerging from the bullets above: AWS Elasticsearch is easy to set up and comes with a few features on top of Elasticsearch that you’ll likely need. However, it’s limited when it comes to scaling – both in terms of number&size of nodes and Elasticsearch features. If you already know your way around Elasticsearch, AWS Elasticsearch service will likely only make sense for small clusters. If you’re just getting started, you can go a longer way until it will start to pay off for you to boost your knowledge and install your own Elasticsearch cluster. Or you can delegate the whole scaling part to us by using Logsene, especially if your use-case is about logs or metrics.